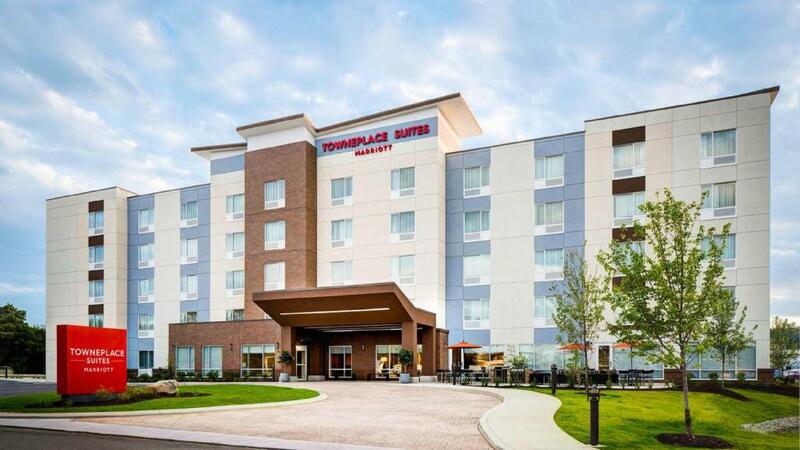 SOLON, OHIO – Marriott International’s TownePlace Suites by Marriott Cleveland Solon is set to open for business this Wednesday, August 8, 2018. On average, a TownePlace Suites opens every six days. Built for travelers looking for a simple and friendly place where they can settle-in, keep their routine, and easily connect to the Solon area. The new hotel located at 6040 Enterprise Parkway will operate as a Marriott franchise, owned by Great Lakes Hotel Group and managed by Spark Hotels. All service team members are thoroughly trained on local knowledge and look forward to connecting guests to the local area. Our floor-to-ceiling TowneMap® also helps guests instantly acclimate themselves to Solon by featuring great places to eat, play and live (explore). The TownePlace Suites Cleveland Solon is located 22 miles from Cleveland Hopkins International Airport and 25 minutes from downtown Cleveland. The new hotel offers guests convenient access to the Hard Rock Rocksino, Aurora Farms Premium Outlets and the Quicken Loans Arena. Ideal for travelers who need accommodations for longer stays, this new property offers studio and one-bedroom suites with fully equipped kitchens, as well as separate living/working and sleeping areas. Guests can work and relax on their own terms in modern suites that feature full kitchens with stainless steel appliances and granite countertops, adjustable work spaces with built-in shelves and lighting, a large flat screen television, as well as luxurious new bedding. Most rooms also feature the Home Office Suite, designed to provide guests with plenty of storage and flexible space to spread out and make it their own. The TownePlace Suites Cleveland Solon allows guests to maintain a healthy lifestyle with an array of food options. While on property guests can create their own complimentary hot breakfast every morning in the lobby area, and can fire up their stay by grilling up dinner on our outdoor Weber grills. The 24-hour In a Pinch® market and On Us coffee service offer guests the chance to get their snack and caffeine on whenever they feel the need. TownePlace Suites helps its guests stay organized on the road with the help of our partners the Container Store. While staying at the TownePlace Suites Cleveland Solon travelers can unpack their suitcase in a custom elfa closet. From drawers to shelves to smart hanging space, you'll find everything you need to make you feel right at home. Other hotel amenities include a full-service bar in the lobby, an indoor swimming pool, a fitness center open 24 hours per day, laundry facilities, 1,120 square feet of meeting space, car-charging stations, complimentary Wi-Fi throughout the hotel and on-site business services, including copying, faxing and printing. As a brand TownePlace Suites recognizes that your family may include more than just humans, that is why the TownePlace Suites Cleveland Solon is pet-friendly (fees may apply). Αναρτήθηκε από geop στις 4:45 π.μ.